Over-hunting has brought numerous species to the brink of extinction because it can hurt the population of one kind. 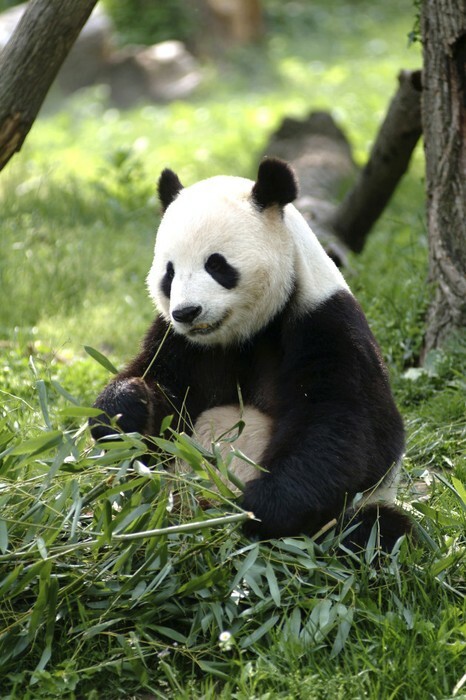 Competition with domestic and nonnative animals is a major threat to numerous plants and animals because that is a lead for pandas and other endangered animals to be extinct. 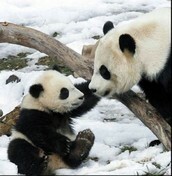 It is a problem because if we loose pandas, there will be a lot more bamboo. If we have too much bamboo, that will be very bad on the ecosystem and bad for the food chain. By protecting pandas, they will be safer from animals then before, but not fully. There will be at least a slight rise and the panda population. If communities around the habitat of pandas put up fences of pandas, it can protect the panda's predators. It will take a long time to do everything. We can protect areas by putting up fences, so people keep away from their habitats. Also if we have bamboo corridors, there will be more bamboo/food supply for pandas. I think the better solution is Solution 2 because it will help keep predators away from the pandas. Also, fences will keep humans away from pandas' hibitats.